When I first heard the term “gluten-free” nearly 15 years ago, it was still an obscure part of the health food market. 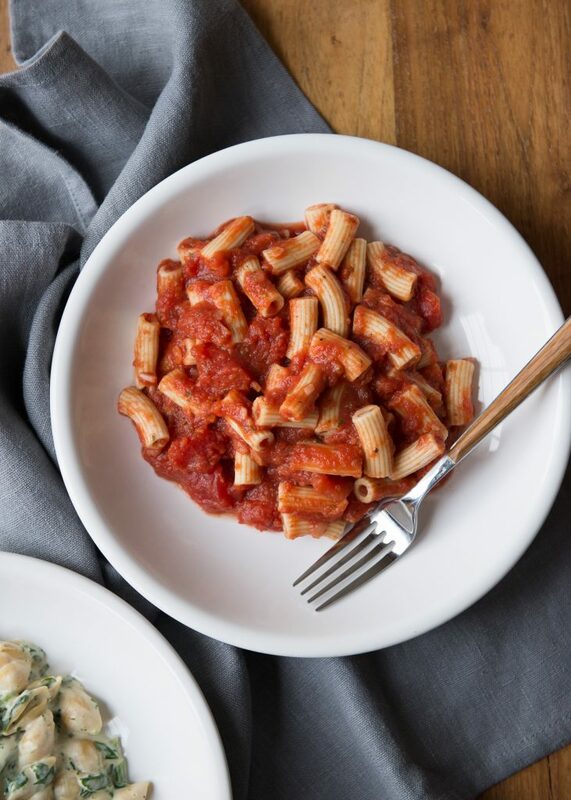 People with celiac disease were more or less left on their own and options were slim, especially when it came to pasta. 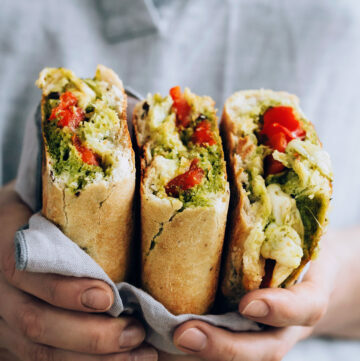 Nowadays we are very lucky to have so many gluten-free food options out there for anyone who has celiac disease or has chosen to follow a gluten-free diet for any other reason. 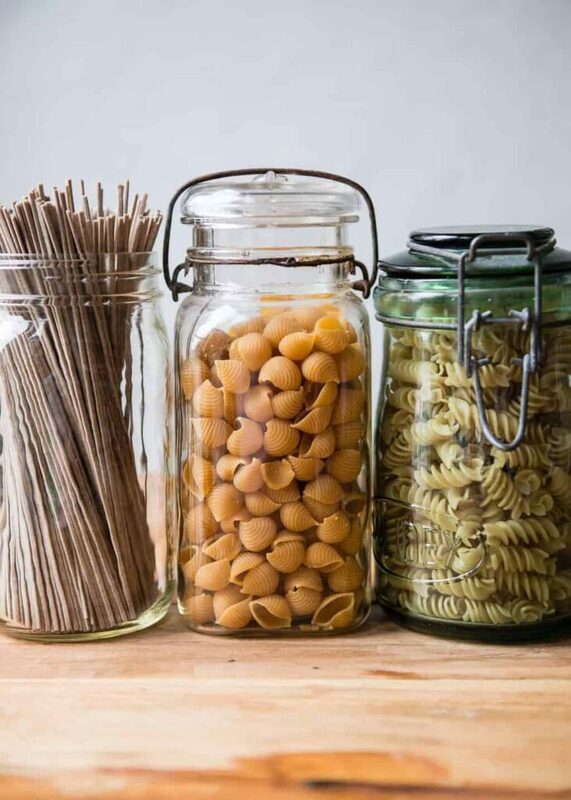 This gluten-free pasta guide will highlight some of the best options out there and for which purposes they are best suited. 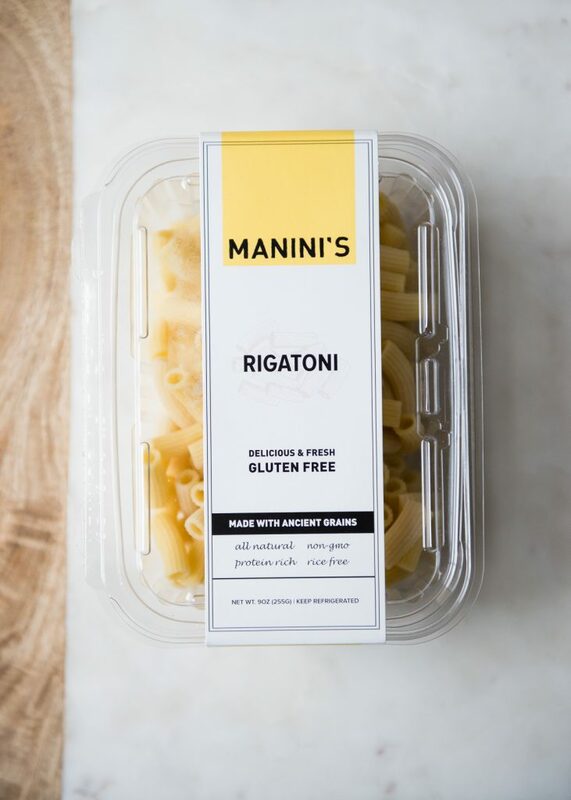 This category of gluten-free pasta includes some of the easiest to find, and best options out there. The various gluten-free grains and pseudo-grains have their own flavors that can really shine through in the final dish. That’s something important to keep in mind in pairing certain types of pasta with certain sauces. 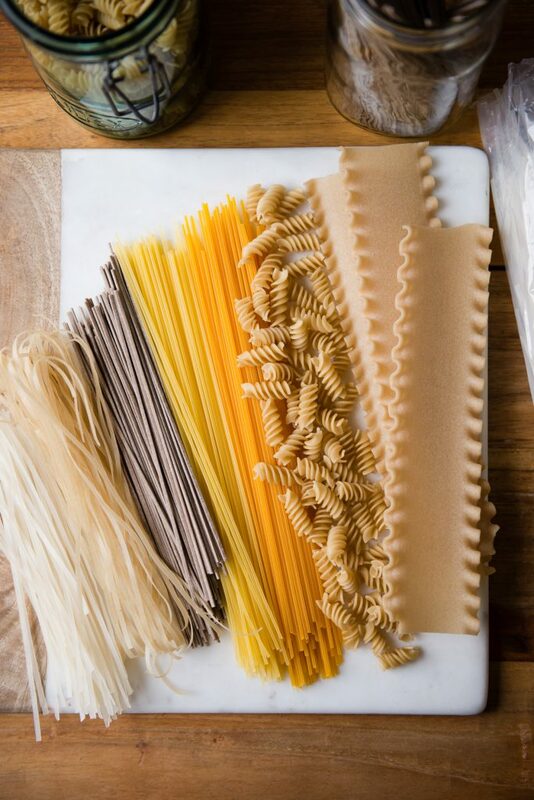 White or brown rice pasta or noodles are the mildest in flavor. 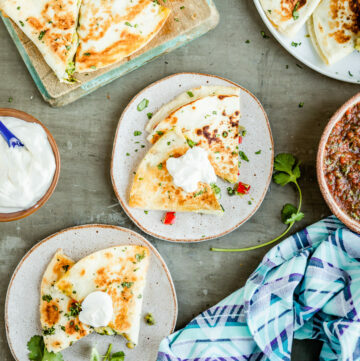 They are perfect for Asian recipes, but work great in Italian-style recipes as well. The texture can be a little tricky depending on the shape of pasta or noodle, and they don’t hold up as well, so undercooking them a little is my preference. If you’re really lucky, you can even find brown rice couscous. Corn is also very mild, and as far as texture goes, is the closest thing to wheat pasta I’ve found. 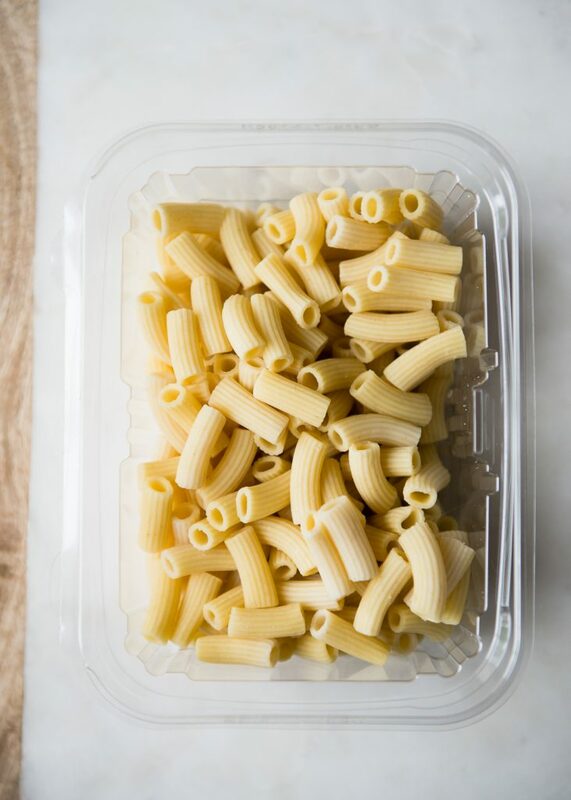 The bright yellow color is fairly close to wheat pasta as well, If possible, seek out non-GMO and organic corn pasta. 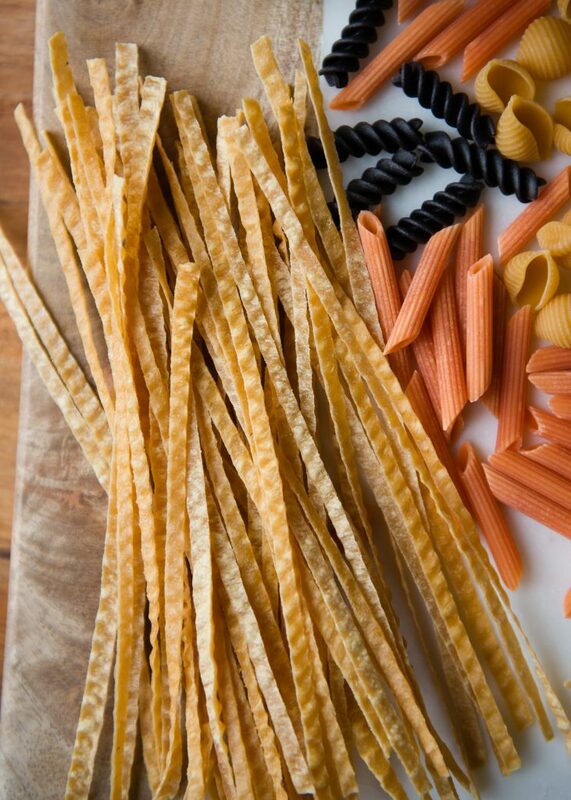 Corn pasta can typically be found as spaghetti, penne, and corkscrew. Quinoa flour and other ancient grains are often combined with white or brown rice when used in pasta. The ancient grains and pseudo-grains add a nice nutty texture and flavor, kind of like whole wheat pasta. 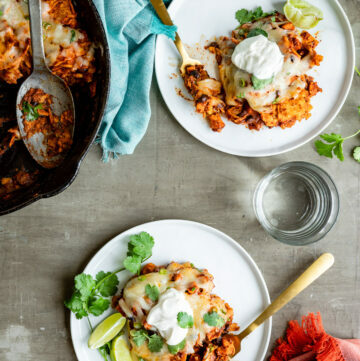 They are great in rustic, hearty dishes. The flavor of quinoa does come through rather strong in pasta, but if that’s not a deal-breaker, it makes a fantastic gluten-free substitute. The quinoa pasta I like best is a blend of brown rice and a very good price at Trader Joe’s. It comes in spaghetti and corkscrew, which is fantastic for pasta salad. Other shapes are available, too, depending on the brand. As I mentioned above, other ancient grains like millet, amaranth, and teff add a lot of great flavor and texture to pasta. 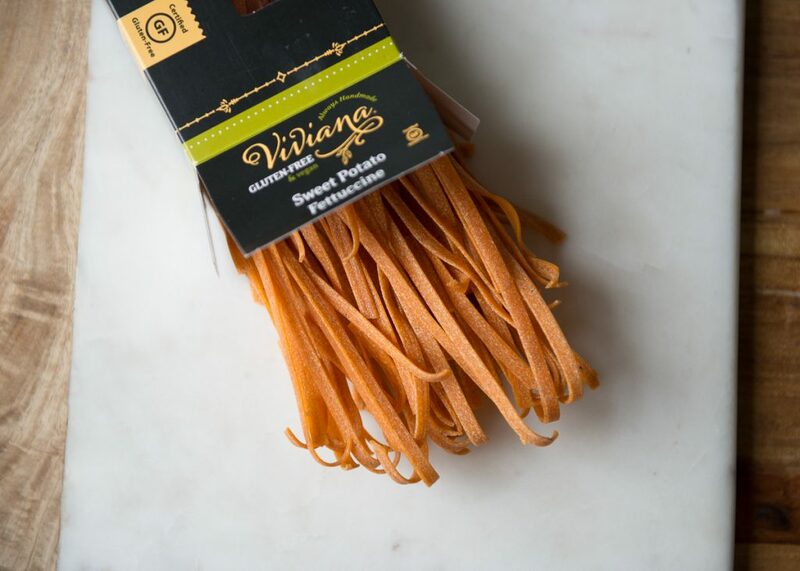 If you’re lucky enough to have fresh gluten-free pastas available, it’s worth checking them out. One caveat: they are definitely NOT cheap. But they are very good and worth the splurge once in a while. They also cook very quickly and seem to hold their shape better than most. Pastas made from beans and legumes are more new-to-me, but that doesn’t mean they aren’t fantastic. The one drawback of pastas made from beans and legumes is that the smell during cooking can be a little off-putting. Well, that, and the colors are pretty spectacular too, which isn’t really a drawback you think about it. I’m continually impressed with the various ways beans and legumes are used in gluten-free foods–I mean, what can’t chickpeas do?! 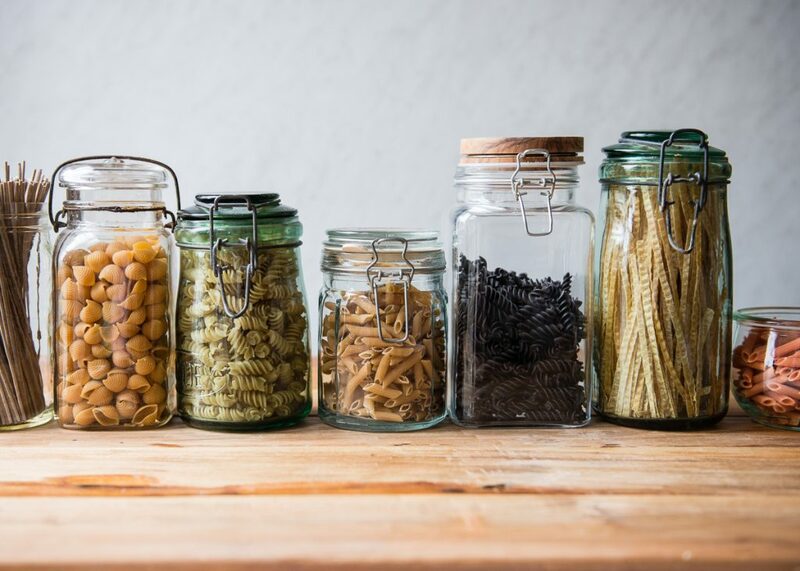 As far as tracking down the pastas made from beans and legumes, online is going to be your best bet, though Trader Joe’s usually carries a pretty great red lentil tube pasta and the black bean corkscrews shown in the photos above. Amazon and Thrive Market are my go-to places for online gluten-free shopping–prices and availability are the main reasons. Whole Foods carries some different brands and I’ve also seen gluten-free pastas at places like TJ Maxx and Marshall’s in the gourmet food section. Pro tip: check the clearance sections of grocery stores because more often than not, I find gluten-free pastas there for a fraction of the regular price. I’m always checking other sections of the grocery store for other gluten-free options that I may not see in the dry pasta aisle. In the refrigerated (or sometimes in the Asian section on the shelf) you’ll find pasta and noodles made from roots and sea veggies. 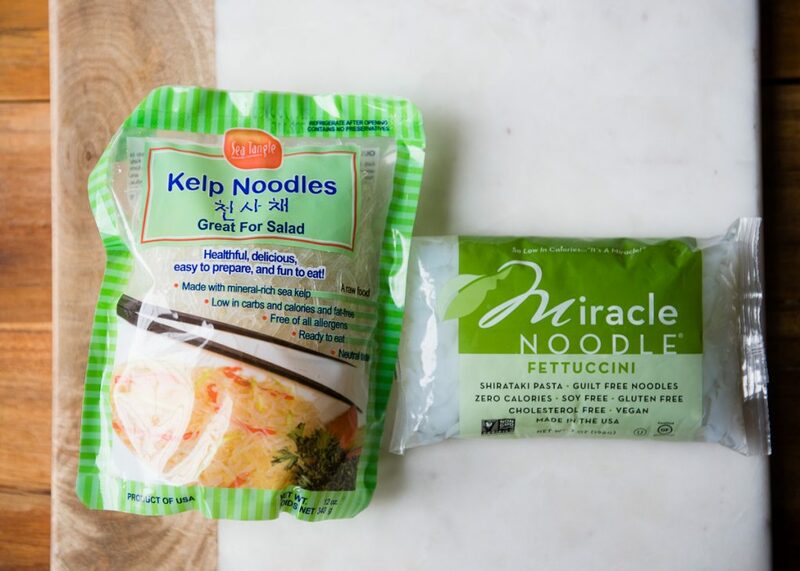 Kelp noodles are made with made with brown kelp, sodium alginate, and water. They are a raw item, so you’ll find them in the refrigerated section. Shiratake noodles are made from the root of a plant called konnyaku. Both kelp and shiratake noodles are low-carb, gluten-free, fat-free, and practically calorie-free as well. 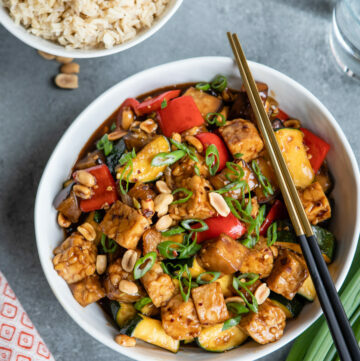 They are great used in Asian dishes, but they can easily replace wheat pasta or the other gluten-free options listed above. Rinse them well and use as desired. 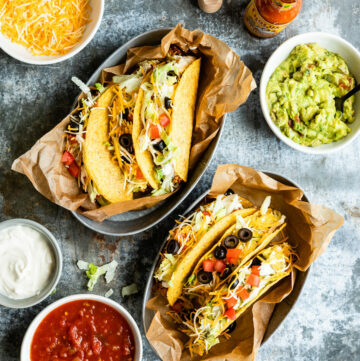 If you’re not sure where to start, the packages usually have some easy recipes to use as inspo. Above are sweet potato fettuccine noodles. These are combined with some rice flour too, but other potato or sweet potato-based pastas are also available. Typically you’ll see pastas and noodles made from the starch, such as cellophane noodles, which are also called bean threads. 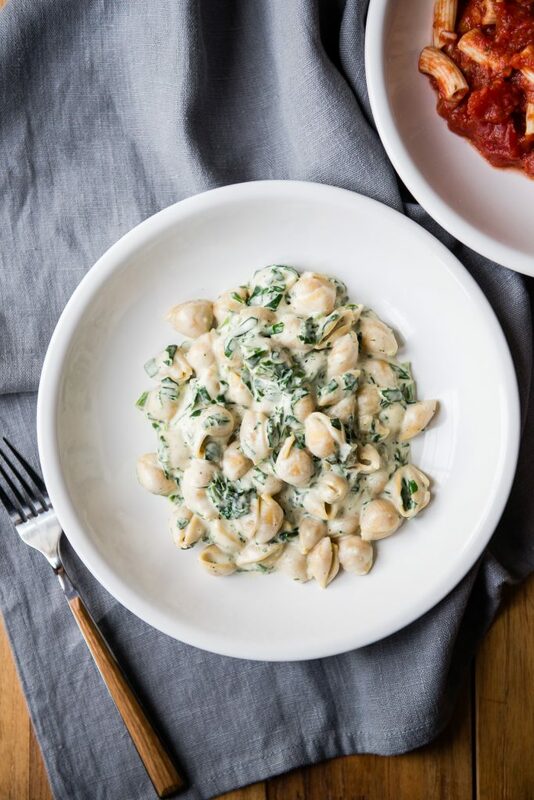 Even though we’ve discussed mostly dry and grain-based pastas, it bear mentioning that fresh veggies make for really great gluten-free pastas too. The favorite will always be zucchini (aka zoodles), but golden potatoes, sweet potatoes, beets, butternut squash, daikon radish, jicama, and just about any firm root, tuber, or gourd (squashes) can be spiralized or made into ribbons. Undercook the gluten-free pastas a little bit because they will continue to absorb any liquid in the sauces you add. Gluten-free pasta is best the day it’s cooked, though if you don’t mind it falling apart a little bit, the next day is fine too. Always cook the pastas with enough water and season well with salt. Some kinds will stick to the bottom or each other as they cook, so plenty of water is essential. Follow the package directions for rinsing/not rinsing after cooking. Some gluten-free pastas greatly benefit from being rinsed. The extra starches can make the pasta gluey, so a little rinse helps. 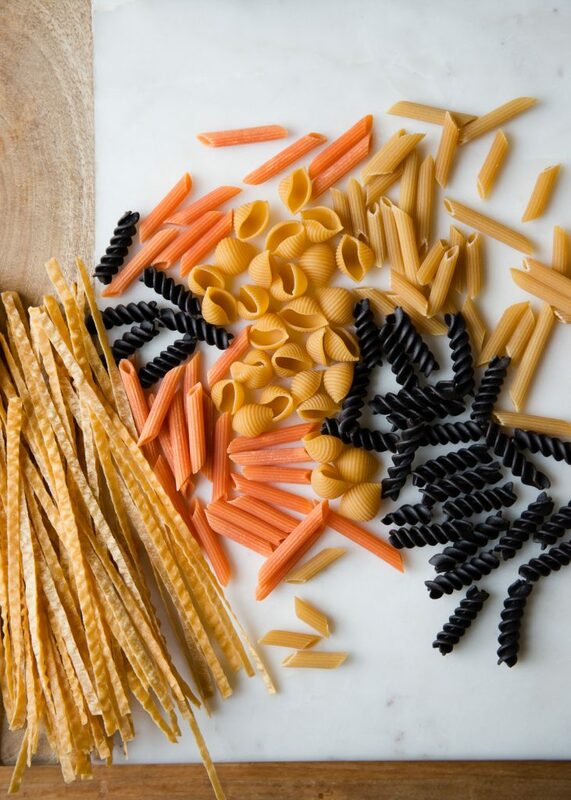 Have you tried any great gluten-free pastas I should know about? Let me know in the comments!